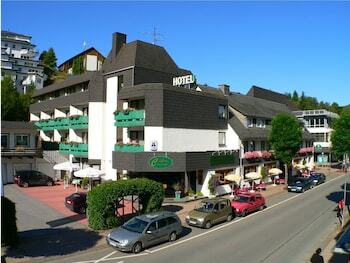 With a stay at Hotel Central in Willingen (Ortsmitte), you'll be a 5-minute drive from Sommerrodelbahn & Sesselbahn / Skilifte Willingen and 10 minutes from Lake Diemelsee. The front desk is staffed during limited hours. Free self parking is available onsite. With a stay at Hotel Altenburgblick in Bamberg, you'll be within a 15-minute walk of Bamberg Cathedral and Old Palace. Self parking (subject to charges) is available onsite.